Every month we share five amazing bird sightings as suggested by our experts. Here are a few interesting observations from January. Like other longspurs, Smith’s longspur has a long claw (“spur”) on its hind toe. This bird breeds across parts of the western subarctic tundra. Its romantic life is complex. It’s polygynandrous: each male and female pairs with several others during the breeding season. 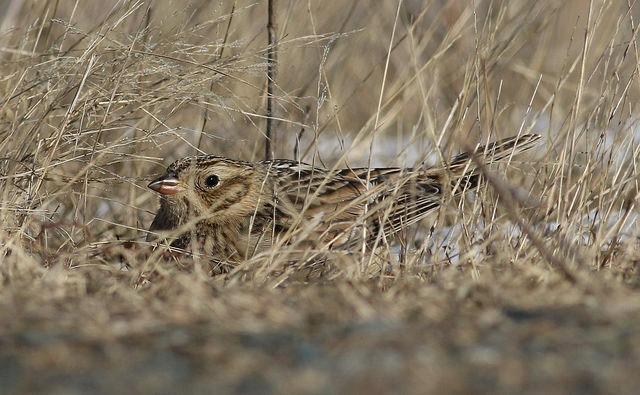 Typically, all Smith’s longspurs spend the winter in a relatively confined region of the central US, so an individual spotted last month in Saugus was a special find—and only the second record ever for the state! 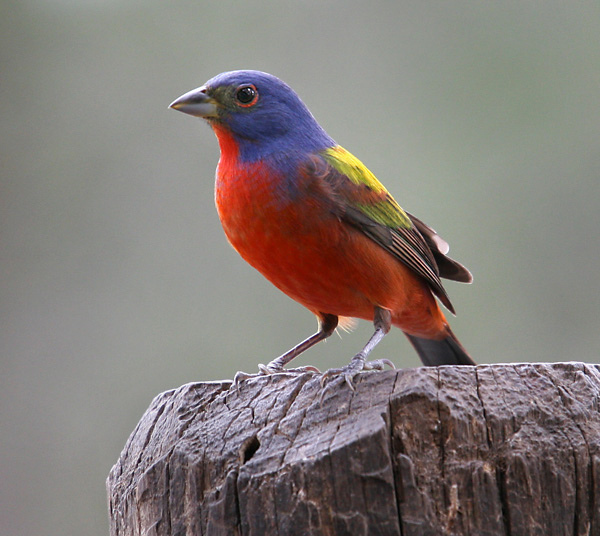 The male Painted Bunting is one of our country’s most colorful birds. This finch is primarily a southern species, breeding in the southern and central US and Mexico, and generally overwintering farther south. This range, combined with its splash of bright colors, makes the painted bunting a birders’ favorite whenever it appears in the north. It’s usually a shy bird; however, it becomes conspicuous when it visits a feeder. Last month, a male was sighted at a bird feeder in Nantucket. This is another bird with striking colors. 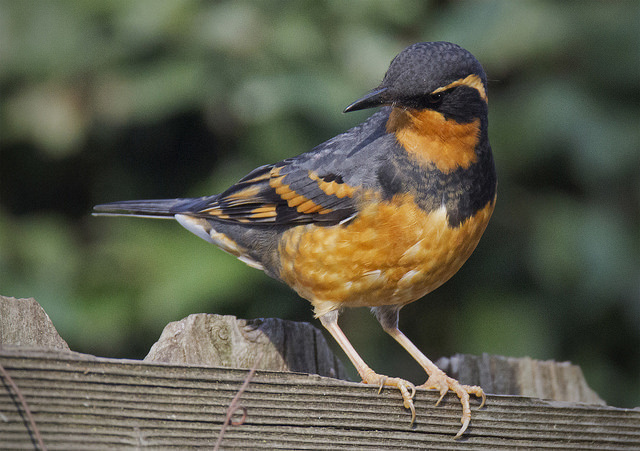 The varied thrush has a complex pattern of rusty orange, black, and stormy grey-blue. It’s about the same size and shape as the American robin, and the two species are related. It lives in parts of the western US and Canada, preferring dense old-growth coniferous forests. It eats insects in the warm months and seeds and berries in the winter. A varied thrush appeared last month in Rutland. 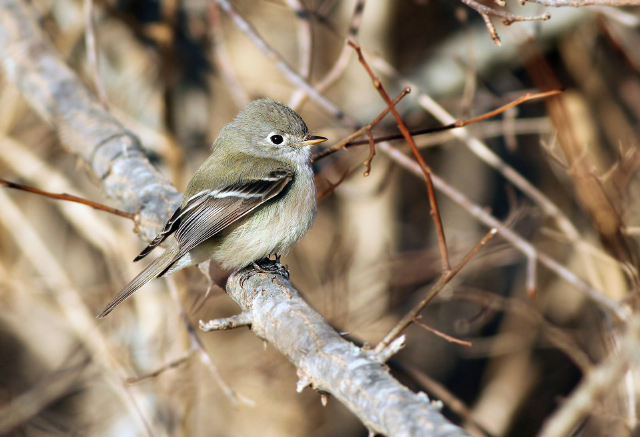 This little flycatcher breeds in the western US and Canada and overwinters in Mexico and Central America. Flycatchers of the genus Empidonax are notoriously difficult to tell apart, but voice is a useful clue. A Hammond’s flycatcher was observed last month in Fairhaven, and luckily observers were able to gather both pictures and audio recordings to confirm its identity. It was only the second-ever record for Massachusetts. This bird is slightly smaller than our familiar Canada goose, and true to its name, it has bubblegum-pink feet and legs. It breeds in Iceland, Greenland, and Svalbard, and winters in parts of Europe. Rarely, a few individuals head in the wrong direction and wind up in Canada and the US. 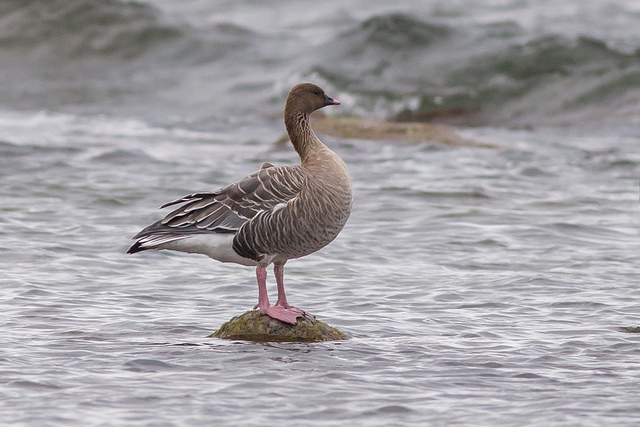 A pink-footed goose was observed last month on the Connecticut River at Agawam in the company of Canada geese. This entry was posted in Nature Notes and tagged bird sightings, last month in birding on February 11, 2016 by Rosemary.